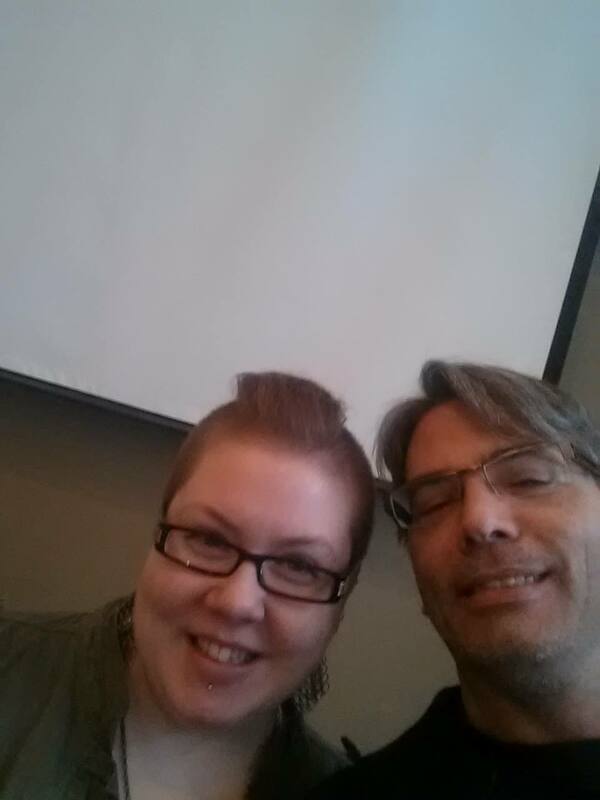 2014 Ontario Writers’ Conference, IF YOU DARE! Pyper is no stranger to the Ontario Writers’ Conference stage. He spoke a couple years back. He’s charming and extremely funny, the perfect addition to what looks like an extraordinary year for the conference! In case you have not yet registered for the conference, now is a great time to do so. With a little over a month left to go before the conference date, I’m quite sure space is filling up fast. You DON’T want to miss Andrew Pyper. ONTARIO WRITERS’ CONFERENCE 2014 SPEAKER & FACILITATOR LINE-UP! Treat yourself to a remarkable writing adventure this May. Give yourself the gift of knowledge and register for the Ontario Writers’ Conference. You’ll be glad you did. Don’t forget that there’s a gala event on Friday that is open to the public. You do not need to attend the conference to take in the FESTIVAL OF AUTHORS. This event takes place in Ajax, Ontario…which is mere minutes from downtown Toronto. VENUE & DIRECTIONS CAN BE FOUND HERE. Hope to see you there! What Can YOU Do for Other Writers? All writers, no matter where they are on their path, can use a little help. There’s so much you can do for your fellow writer friends. Beta read their manuscript for them. It always helps to get feedback on your story, to know what’s working and what can be tweaked to work better. Go out for a coffee with them to for some 3D mind-mapping. They can bounce their ideas off of you. Sometimes just saying them out loud changes the course of the idea excavating. By using you as a sounding board, they may be able to go deeper, realize ideas they might not have discovered had they been jotting them down instead. And coffee is always good. Help them with editing. No manuscript does not require editing. A writer doesn’t always see their own glitches. Your unbiased eye on their work could really help. Read their pitch/synopsis/query letter and give the valuable feedback that a second pair of eyes can give. Sometimes the pitch, synopsis/query letter is WAY harder than writing the entire manuscript. It often helps to get feedback on these prior to sending them out into the universe. Be their mentor, if they are just beginning or not as far along on their path. Share what you already learned, even if you learned it the hard way…by yourself. Think of the gifts you can give to those just starting out. Babysit their kids for an hour so they can have BIC time. Or two hours. Or three. I don’t think I even have to elaborate on this one. Give them your spare room for a couple of hours so they can escape ‘the house’. Sometimes the only thing causing writer’s block is the sink full of dishes out of the corner of your eye, or the knowledge that the vacuuming isn’t done yet. Escape from your own environment is often the only spark you need to get the creativity flowing. Tell them, “It’s okay. I understand.” Again, no elaboration needed here. Be, above all other things, a cheerleader for your writing friends. I can go on, but I won’t. If you’re a writer, you probably thought, “I would love if someone did that one for me!” after most of those bullet points. If you find a writer buddy to share kindnesses like this with, it could be a mutually beneficial relationship that will go a long way in improving your day to day writing life. Always remember, we get back what we give. Your generosity can beget the generosity of others. If you have writing friends (and I’m sure you do if you’re a writer), boost them. Support them however you can. Writing—‘they’ always say—is a solitary thing. We all write alone. But this does not mean we are required to be lonely. Find a partner, or two and three, and spread some joy. Reach out today. I am becoming a glass-is-half-full kind of person. I know…I can’t even believe it myself. I’m realizing how much I have to be thankful for. I have AMAZING kids. I mean, they rock. I’m having amazing luck with my mid-life writing career. Two books releasing in the same year! I mean, that’s golden. Such a huge blessing. I can’t look that gift horse in the mouth. I just can’t! I’m also about to set out on a journey… a pilgrimage. Spring arrives tomorrow and with it the promise of the Camino. I know it’s still about 58 days away…but now I can actually feel it. SPRING. SPAIN. WALKING. INNER JOURNEY. It’s all good. I’m ready to let the healing begin…through my soon-to-be long suffering feet. 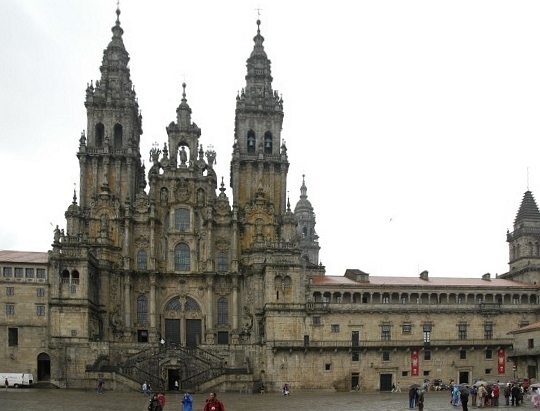 They will take me across Spain to the mecca of my pilgrimage, the Cathedral of Santiago de Compostela. I will be leaving baggage there…of this you can be certain. As the year progresses, I will also have the MUSKOKA NOVEL MARATHON. This, in case you haven’t kept up with my stream of consciousness way of thinking, is my ANOTHER KICK AT THE CAN. 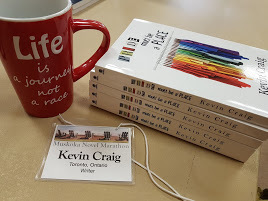 This July will be my 7th Muskoka Novel Marathon. I’m still crazy proud of the 4 Best Novel Awards that have come out of my MNM writing. Three of the Best Novel award novels are either published or soon to be published. And another novel I wrote there, which didn’t actually win the award, will also be published. My cup runneth over with goodness. Making a donation on the above page will be sponsoring me for the marathon. Any amount would be most excellent. We have raised $85,000.00 to date with this marathon. That money has changed a LOT OF LIVES. We did this $5, $10, $15, $50 dollars at a time. So never think that a small donation is not big enough. Everything counts. That’s my plea for today. Thank you for listening. And if you choose to give, thank you! I often sing, “the girl with colitis goes by”. Much the same way as I often sing, “hold me closer, Tony Danza“. Just because. What does this have to do with anything? Nothing. I just thought of this after I wrote the title of this post. Naturally, whenever anybody anywhere hears a line from Lucy in the Sky with Diamonds they immediately burst into song…singing the entire song from front to back and back to front. It’s just, as humans, what we do. Lucy in the Sky with Diamonds is so ingrained it is part of our DNA. Right? I’m not the only one who thinks this, am I? A girl with kaleidoscope eyes. So inspiring, right!? It tickles…I can practically feel the mind-mapping of creativity when I hear these lines. They SPARK! So, about the title of the blog. I’m sure ALL of your calendars are showing APRIL as highlighted for NATIONAL POETRY MONTH, right? Now I KNOW nobody just thought, ‘What? What’s he talking about? !’ I know you all marked off the entire month the minute you opened your crisp new calendars back in January. If you didn’t–and I know you all did, so this is just a hypothetical–I will give you a moment to do so now. Don’t worry. I’ll wait here. Please…go forth and mark your month of April as POETRY MONTH. Highlight it as you see fit. I’ll be here when you get back. Done? Okay. Shall we continue. Because APRIL is looming I have been doing a lot of thinking about INSPIRATION. In my mind poetic inspiration comes from a very different place than does fictional inspiration. I don’t know if it SHOULD, but it DOES. It’s actually songs like Lucy in the Sky with Diamonds that push me to be poetical. There’s something extremely delightful in the nonsensical. Lucy has it, as does anything by Dr. Seuss. And even good ole Gord Downie in a way. But I think his version of nonsensical is more refined…he is a man who absolutely unequivocally reveres the English language. He doesn’t write lyrics, he sculpts them. Songs like BOBCAYGEON make me want to use my laptop as a TV tray. Because I know I will never find more beautiful words hitting its keys than the words composed in that song. I just made that sound like it stilts me rather than inspires me, I know, but it’s the kind of beauty of words found in Bobcaygeon that devastates me into trying. When I am completely humbled by gorgeous word combinations that take my breath away, it triggers something inside. It makes me want to discover language in ways I have heretofore not accomplished. So these songs tear my heart out and leave me a quivering mass of ruined flesh twitching on the floor in a near-death frenzy of apocalyptic jealousy and rage. But in a good way. I set up my idols–contrary to that silly little biblical threat about said idols–and I worship at their feet. If Gord Downie can have a weather vane Jesus, I can have a popsicle stick Gord Downie. I have gotten so far away from where I was going with this post that I no longer remember what I was going to say. But Gord Downie! So, Lucy in the Sky with Diamonds. As I search for poetic inspiration that will help me get into that place I need to be in for National Poetry Month (henceforth NPM), I listen to the songs that will put me there. Whatever it is that inspires you poetically, now is a good time to start immersing yourself in it. One of the challenges of NPM is to WRITE ONE POEM A DAY EVERY DAY FOR THE WHOLE MONTH OF APRIL. In order to do that, I need to be kept constantly inspired. In order to do that, I need to have several things working in conjunction with one another. The biggest is a great soundtrack that has both beautiful and quirky songs in it. I look for the songs that have over-the-top silly lyrics and the songs that have those beautiful unattainably gorgeous lyrics that make my head explode. It’s kind of a pleasure/pain thing that inspires me. Let’s have a look at a couple lines from Tragically Hip songs, shall we? Not to mention FIDDLER’S GREEN. That song hollows me to the ground. One of my brothers performs in local bars and when he does Fiddler’s Green, it destroys me. It’s probably one of the most beautiful songs ever written. We are ALL different, aren’t we. Others may hear the songs that inspire me and think nothing of them. The trick is to never stop hunting for the things that make that little switch in our hearts flick to on. For me, it’s great lyrics. They just make me want to write. I’m playing all the songs that inspire me…I need to grease up the cogs that make my brain move poetically. So if you’re nearby, you may hear me singing these songs in the next couple of weeks…and for that I truly apologize. I’m sure a skinned cat’s screams would be more audibly appealing than my vocal stylings. Immerse Yourself – Do Writerly Things and You Will Be a Writer! This is the first of my 5 Trafalgar24 playwright gigs where I knew of the actors prior to writing my play. Let me tell you how much more intimidating that is! I had the amazingly talented Christopher Kelk and the equally stunning Adriano Sobretodo JR. I think I spent the first thirty minutes or so just looking at their headshots and thinking, ‘I have to write words that will come out of these two mouths!!!?? ?‘ I have seen Adriano in various TV roles and I have had the good fortune of witnessing Christopher lob one after the other of his Trafalgar24 roles out of the park…not to mention some of his other works. They are both veterans in their field. After my initial shock, I sat down to write a play. I really was incredibly fortunate to get two such talented actors. To be honest, I have yet to see a Trafalgar24 actor I wasn’t totally impressed with. The event attracts the best of the best to the ever-shifting ‘stages’ of Trafalgar Castle. This was the first year I tackled a drama for Trafalgar. I just couldn’t put Christopher in a comedy. Talk about taking chances! But I believe the risk paid off. After seeing the play performed on Friday night, I knew I had made the right choice. Both actors performed beautifully, and the director, Carly Chamberlain, made some excellent choices in choosing the business of the play. I loved the direction. It’s the same every year. On Friday morning, I feel as though I am leaving the castle having left behind this meager offering of a few words on paper. And then the elves show up and make my Walmart flip-flops into Jimmy Choos. Every year, the director and actors transform my play into something far more spectacular than it was when I was finished with it. Theatre is such an extremely interactive and collaborative thing, and I am always amazed by the contribution that goes into a play once the words are on paper. It’s sheer magic. I did say it was a writerly weekend, right? Well, the WCDR Roundtable Meeting took place on Saturday. This was a special edition Roundtable. I was part of the planning committee for the WCDR U25 Panel Discussion, and it was an absolute pleasure to see it come to fruition. 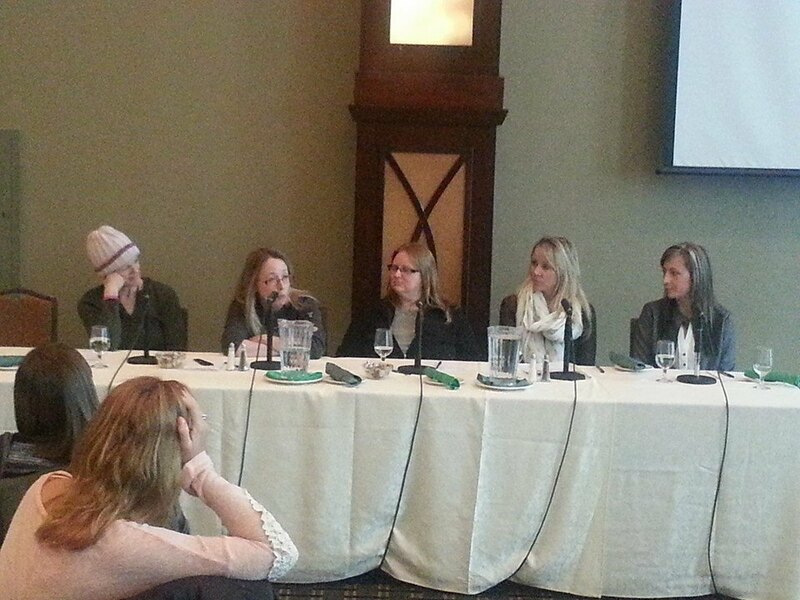 The panel was made up of Middle Grade (MG), Young Adult (YA) and New Adult (NA) authors. And my own agent, Stacey Donaghy, moderated the event (quite beautifully, I might add). When we set out to create this particular Roundtable Meeting, we had the concept of a mini half-day conference in mind. And that is exactly how it panned out. We had 3 agents on hand, taking pitch sessions from hopeful authors. We had the panel discussion, and workshops for both adults and young adults. There is a writing contest for the young adults who attended, we had a tremendous load of giveaways which were collected by various sponsors. The whole thing just had the feel of a conference, tightly compacted into a few hours on a Saturday morning. We were thrilled to have the following authors on the panel: Deborah Kerbel, Joanne Levy, K.A. Tucker, Norah McClintock, and Lesley Livingston. And sponsorship! We had sponsorship. (-: Penguin Random House, Writescape, and Ink Slingers were all generous in their sponsorship of the event. I can’t really take all that much credit for U25. The brains behind the event was my writing friend, M-E Girard, someone who, herself, will be sitting on panels in the very near future. Remember her name. She’s a kickass writer who is about to explode onto the horizon. (-: As I recently stepped down from the WCDR Board of Directors, M-E did the lion’s share of the work on U25. And she did it up beautifully. I was happy to be slightly involved. For those in the GTA (Greater Toronto Area) who missed the WCDR U25 Panel Discussion, don’t forget that the WCDR Roundtable Meetings happen every month but one…throughout the year. Every one is a nugget for writers. You should seriously check them out. 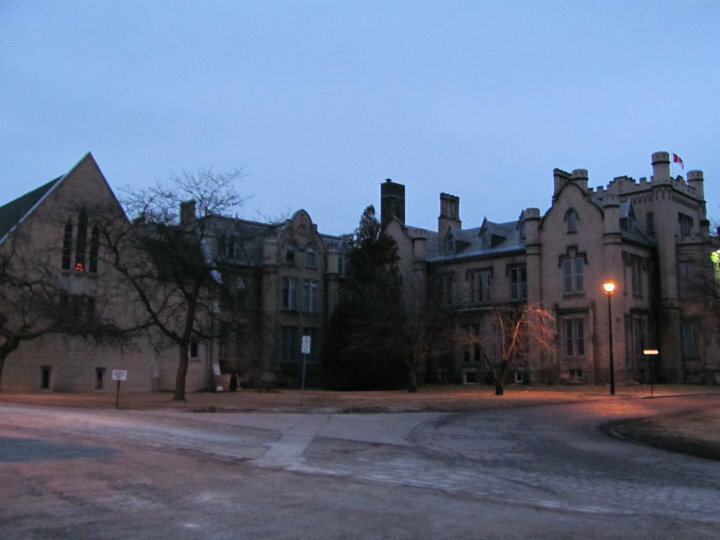 They take place in Ajax, Ontario…which, believe it or not, is only about half an hour from downtown Toronto. If you’re in Toronto, don’t be shy…because the Writers’ Community of Durham Region welcomes EVERYONE. And, honestly, there is life EAST OF THE CITY. The WCDR is only a short ride away. And it is a VAST and welcoming community. So over the top worth the drive. CHECK OUT THE MONTHLY MEETINGS HERE. There is something about the title of Bif Naked‘s latest album that sounds like such an amazing promise. FOREVER. To know that Bif will be out there making music, sharing her enchanted life, with her fans eternally! What a gift. Bif Naked has been gracing the music world with her eclectic sound for 20 years, now. Born Beth Hopkins in New Delhi, India, Bif is one of Canada’s most cherished and beloved citizens. There is not much that Bif Naked has not accomplished. She is an activist, a poet, breast cancer survivor, a comic cartoonist, an actress, and, of course, a delightful singer. On the heels of her acoustic album, Bif Naked Forever, we are extremely delighted to have Bif Naked visiting us today! We welcome Bif as part of our ’10 Questions With…’ series. 1. Bif Naked Forever: Acoustic Hits & Other Delights – For me this album sounds of pure delight, an awakening–a treat for your diehard fans, as well as a great compilation to put out into the universe for next-generation fans. The last time I was this excited about an acoustic hits album was The Cure’s Acoustics Greatest Hits. Favourite songs done acoustically, with a new twist, are always a treat for fans. And the new studio tracks were the icing on the cake! I often wondered how it felt to have such an impressive canon of work at a young age. Could you give us some insights into what it has meant to you to put out a HITS album? What does the accomplishment mean to you? I am so happy the acoustic record was enjoyed! Jacen (Ekstrom) and I had been doing acoustic performances across Canada for a couple years, because I preferred it. I love to sit and talk about the songs before we play’em, and Jacen and I get questions from the audiences, and sometimes even get them on the stage with us if they have something “pressing” they want to share, or do..it’s very intimate and so lovely, really….and the audiences kept asking for THOSE versions of the songs, and whether or not we would consider doing a special release to support the acoustic tours. I was so happy to do it! Jacen and I went into the studio with my long-time collaborator, Doug Fury, and the three of us really enjoyed playing them together. We brought Flavio Cirillo in for a couple tracks but there were very little drums. I was happy to write the new songs with Ryan Stewart because it is such a lovely process to write with him. It was so effortless and we really had a great connection in the songwriting. It was fun to do. We made the dance record and have been sitting on it for two years. It remains my favorite secret! It was a fun project we did in the studio after we got off the “Promise” album tour. I had to do something completely out of left-field, emotionally, to deal with my (at that time) having been shattered again, in the love department. LOL! The “Jakkarta” Project was a lyrical departure for me..it was extremely sexualized and highly inappropriate. I think I was reaching out from loneliness. Now, it just sits there, winking at us with a fluttery eyelash…….But, We are also writing for a new record…although Doug Fury and I also have a “death metal” project. The rambunctiousness is very sincere and good. 3. I’m going to throw this one in here as a diehard Joss Whedon fan. I know there are other geeks out there like me. (-: Buffy the Vampire Slayer. How cool was that? Any memories or fandom you’d like to share with our readers about your guest spot on Buffy? Being able to perform on “Buffy” was a dream come true, like everything that happens… It was such a big year for us, and we did back-to-back tours with Lilith Fair, The Cult, Kid Rock, and were touring overseas in the off-season. “The Tonight Show” with Jay Leno, and “Buffy” appearances happened around the same time. The people we met were simply wonderful! Everyone was always so polite! The “Buffy” set had snacks and the guys were so impressed, and we got to take lunch with all the cast and crew, as well. It was a magical day for us and we always remembered it. SO fun! Lots of food! 4. 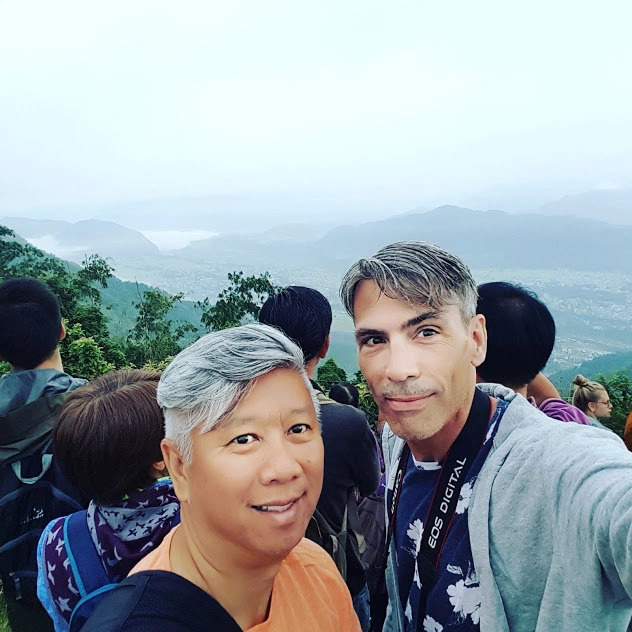 In a recent interview (Bif Naked Rocks On–with Liberty Craig at Fresh Vancouver) you were quoted as saying, “My dad thinks I find a way to justify any bad things in my life.” I loved your response to that concept…that, of course, your positivity is justification. I have to tell you that, as a Tweeter, you’re a wonderfully uplifting port in any day’s storm. Your ACTION OF THE DAY and WORD OF THE DAY are little fortune cookies for myself, and I imagine, your other 88,000 followers. I have always believed that it’s easy to spread happiness…and you make it look even easier. Can you maybe share how you have come to maintain this enchanted life? Our readers would love to get a glimpse into your ability to surround yourself with joy. Twitter is a very freeing place for people. It’s “safe” really…people say anything. I think this is important and twitter is, actually, a “utility” now (like a “telephone”). I love it! I am a huge, huge fan! I began with only a few hundred followers on twitter and it was a really safe space for me..for the followers. I think I was a bit shell-shocked from my life, cancer treatment and trying to navigate everything then… I was very isolated and very lonely during that time..and I would go deeper into my yoga practice. It was Complete Freedom, like floating in a bathtub. Yoga was healing me..healing my life and my body and my (then) broken heart and it was extremely natural for me to, simply, tweet “roll the shoulders down the back..take a deep breath in…” and the response was from people doing it WITH me in real time! I was enraptured! It (felt like) we were all healing together.. and it was so sweet for all of us. It helped me to feel like I wasn’t alone. Then, over time, My schedule changed and the people on it with me grew and moved on to other twitter routines. I used to have a “Food Of The Day” as well but over time, I feared this may be misinterpreted as “classist” or “elitist” due to some of the fruits and vegetables I chose are not available in many parts of Northern and Rural Canada…or they are too expensive. So, I wanted to be sure I was sensitive to this and eliminated the “Food of The Day”. However, I love to have an “Action” for the day for MYSELF as a reminder or a motivator…and a “Word” of the day was something I would write on my hand, in pen, before I walked out the door every day. I am an extremely optimistic person and I like to try and stay very positive in my life, regardless of what might be going on. Through positivity I have overcome every hardship. 5. You’re a spoken word poet. I have to say, I LOVED the title of your okenspay ordway I. It kind of made me giddy. You’ve also been known to write columns. The next question is for the writers. And…readers. Do you have any plans to try out novels? Is this something that has ever appealed to you? I began my interaction with words as a poet. For me, novels was a natural progression. I’m wondering if you’ve ever thought about next-stepping to novel-writing? I am so happy you enjoyed “Okenspay Ordway” LOL! No one else really seemed to like it, at the time (when it came out in, um..1996?) and I thought it was the funniest thing I ever recorded. I loved being able to say whatever I wanted and I had, and still have very strong opinions about politics, gender, women’s rights, human rights, animal rights, and food policies. I have a lot to say. I was able to use the spoken word album as a real form of socio-political expression and remain very happy I did that. As far as fiction writing, I do enjoy writing short stories and have many rather juvenile “voices” I enjoy writing in. My twitter account for my late babydog, @NICKNAKED was a perfect example of that. I was like his “ventriloquist”. I enjoyed it immensely. I was always planning to carry-on and continue it…but was so shattered after he died, that I have yet to bring myself to tweet “as his ghost”, or something.. I am not there, yet, I guess. Maybe a book instead? LOL! 6. This is a question writers tentatively ask one another. So imagine this question coming out tentatively. (-: How is your memoir for HarperCollins coming along? I love to write. Writing my memoirs is a surprising process for me. I have always loved writing and loved to write. I will always write, can’t stop myself…songwriting always stemmed from my journals and poetry, anyway..so it is extremely natural and easy for me..though I write from some very dark memories, places, and events. I relive them when writing, so it can be a bit annoying, emotionally, to go to those hard places.I like to dig in that dirt, though…to get dirty..to get muddy from it. I like the work, and I am a flowery, descriptive writer. I love language! I love words and I love to describe. I never get tired of it! Some of the stories I have been writing are incredibly sad, though i try to make them somewhat funny. It is possible that only I will ever think they are funny and that they may not be appropriate for a normal book. It is unfolding and I am enjoying it very much. I like working with people and I am grateful for their input. 7. You have extremely eclectic taste in books. And possibly a bit of an obsession with them. (-: Like most lovers of the written word. What are you reading lately? Do you have any recent fave novels? Do you have any books on your bedside table? It’s true I love books! I love to read and I love to learn. I was never much of a novel reader and read a lot of poetry and medical dictionaries most of my youth and adult life. I have enjoyed many different types of writers and wish I had more time to read. I do not watch television except the news in a hotel room, although I do like a “crime” show like Criminal Minds on American Television. I prefer no television and stacks of books everywhere. I have dozens of language guides and cherish them. Everything from Farsi to French to Cantonese to Hindi to Arabic! I love reading translations. I love reading everything: Arundhati Roy is a writer I enjoy. I like everyone from Fran Lebowitz to Gandhi to Henry Miller to Camus. Most people know I am a collector of Irving Layton poetry and of religious texts. I love it all! I love to read in the bedroom, even in the daytime with the breeze and the curtains blowing..By my bed there is a copy of “Perfumes” by Luca Turin and Tania Sanchez, on one side…and on the other side there is a copy of “Bring Down The Chandeliers” by Tara Hardy, and four or five old copies of “Namarupa” magazine. I still sleep on a mat on the floor because my two dogs were going through all the stages of their lives with me and we could not have a bed or they might fall off. It works for me and I like the tatami mat or even my yoga mat to sleep on. 8. As a writer, I find that I have my fave albums that I listen to while writing. I know a lot of writers who need total silence in which to write. And I know some who never write without musical accompaniment. How does that work as a lyricist/songwriter? Is this a time for you to turn off the music and dig in? Or do you like to write lyrics while listening to music? And if so, what music sparks your creativity? I love silence. I write best when everyone is quiet…or, sleeping…the city.. roommates..the band-mates..name it. I like the whole day to be over with…and then I get my time to write and go to those far away places. It’s how it works, for me. SONG writing, however, is a completely different process from a completely different place. Sometimes I like to listen to the song I am writing…. (if we put it on a disc for me or, for many years, on a cassette) I am a pentameter abuser and love to write lyrics. Lyrics are very fun to write. I never, ever run out of feeling challenged to come up with new ways to describe “love” or “pain”. I love songs about picking ourselves up, and dusting ourselves off, the best. I love love songs, too…but the recovery-from-heartache stuff is about “hope” and that is what I enjoy the most. 9. Your dogs? As one who forever loves his Golden Retriever, Franny, I love to ask others to share a few words about their beautiful family members. So, do you have any words to share with our readers about your beloved children? I just lost my Maltese, Nicklas, eight weeks ago. He was sixteen years old and, likely, The Love of My Life. My Annastasia died in 2008, when she was ten. She was a Bichon Frise. The two of them, together, were my children. I miss them immeasurably. I love animals. I love them and know I will, again, be a mom to some sweet animals….but, at this time, I am still feeling very badly about the absence of Nicklas. It is unfolding. There are so many good, good people in this world that truly devote their lives to helping others and I have learned so much about love and compassion from many Animal rescuers as well as the wonderful animals they have helped. 10. Keep being you. You bring a lot of joy and a lot of hope to a lot of people. I cheated a bit with some of the questions–multiple questions–so I thought I would just use this space to thank you on behalf of all of our readers. Thank you for spreading the sunshine. You’re an inspiration. We look forward to hearing more from Bif Naked. We know it will all be good. Thank you. Very nice of you, Kevin, to include me in your “Questions” series. Very cool. Bif Naked’s website, BIFNAKED.COM will be back soon. Bookmark it now. Or, fill out the re-launch notification form and you will be emailed once it goes live. I highly recommend that you follow Bif on Twitter. She will put some much needed light into your day! Pick up FOREVER wherever albums are sold!